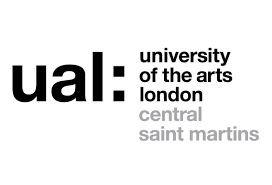 SPACER was invited to submit an abstract to the ‘Creative Lenses Final Conference: Culture and Business Models in Challenging Times’. Although we’ve had roots in business for 15 years now, creating a business model (and other frameworks) that encompassed our values without compromise, has proven challenging. We are thrilled to be accepted to present at this conference in Helsinki and look forward to unveiling what we believe to be an exciting step forward in transdisciplinary practice. Building a successful, sustainable artist-led, transdisciplinary, creative organisation and business model has taken fifteen years. This case study is authored by one of the two founding artists and the organisation’s creative industries business adviser and academic. The case will review the pivotal moments that led to the identification of a new business model. This previously unpublished model recognises the contribution and values generated by the interrelated nature of the different centres of knowledge in the organisation. The case discusses the role of the business plan, the new identity, and articulates how these relate to the iterations of the new business model. The case identifies the issues with combining business language and creative practice, and how the model has blended and created new knowledge as a result. The case will also present the new SPACER creative value assessment matrix that challenges the familiar SWOT and incorporates success criteria and related costs. The authors will recognise the auto-ethnographic aspect of the case. From the start, the organisation was almost entirely self-funding and operated without an overdraft facility. This has given the organisation complete autonomy and has allowed it to iterate through its own value system. Growth has been primarily driven by self-funding through personal investment and a frugal, thrift driven approach. This sets the model apart from others, that have an expectation or need for financial assistance and has proved a sustainable approach, long before the funding landscape changed. Public funding has only recently been used to expand the workforce, through a Success Grant and a Kent County Council Graduate apprenticeship, which together have helped pave the way for the proposed expansion of the organisation. The need for a new business model was identified through the experience of starting up a business in an area of regeneration and the lack of fit of other business models when applied to the strategy and differing value sets of an artist-led facility. The model has been achieved through a variety of tests and business model iterations and has led the company, originally set up as a Company Ltd by Shares, with a commercial profit-making identity, to a new value structure as a Company Ltd by Guarantee. The organisation now has an express purpose to create wealth in an equitable and sustainable manner through a triple bottom line. The business has invested in the development of a new identity to reflect its increasingly complex values and stakeholders. The authors will recognise and reflect on the key stages of the development of the model, as it correlates with the development and transformation of the organisation. The case identifies and discusses the added value of practice as research compared with artistic research. Examples of these differences in value are demonstrated through illustrations; a new understanding of materials beyond the knowledge of the manufacturer (e.g. Jesmonite) and through working with clients such as TUDOR, to add experiential value to a bronze commission for a product launch to the press. The organisation is situated at one end of the proposed Thames Estuary Production Corridor, and is cited as one of only 10 established and suitable for development facilities in the report ‘An Industrial Vision To Create a World-Class Location for The Creative Industries’, commissioned by The Mayor’s Office in 2017. As such the organisation is poised to make a significant contribution to the proposed investment plan that is being developed to 2050. The case study will also highlight the importance of the leap of faith that the organisation has just taken in the purchase of a third building on the current site. Transitioning from artist owned and led, to an expansion through sponsorship from a variety of partners and stakeholders demonstrates a calculated risk for the potential investment of resources at the time of extreme and increasing funding and Brexit impact uncertainty. The planned audacious ecological rebuild will combine two of the properties into one generous and potentially award-winning eco-design. This will provide a physical home for an organisation that intends to be an international model of excellence in transdisciplinary practice driven business. This is an organisation of people that provides challenge and leadership through their ever developing creative approach to value generation.